About - Loss Prevention System Inc.
Loss Prevention Systems (LPS), located in Temecula, CA, is a leading security integrator for the U.S. Government and Fortune 100 clients. We offer clients the ultimate source for security hardware and professional services in the security arena on a global basis. 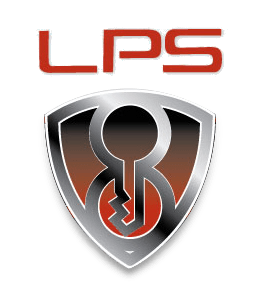 LPS employs a core management staff of highly skilled security professionals & technicians. With this experience level, we design the appropriate security solution to meet each of our clients’ unique needs and requirements. LPS has a growing reputation as a high quality provider of end-to-end security solutions to U.S. Government agencies, such as the U.S. Navy, U.S. Marine Corps, DEA and U.S. Air Force. With over 40 years of providing quality security solutions, our company has enjoyed huge growth over the last 20 years thus leading us to new opportunities. With our expansion into the federal space our team has grown tenfold with added expertise, qualifications, and diversification into new proficiencies. We've installed and maintained security assets for the US military and high security venues such as Disneyland, Honda Center and Angles Stadium. Some of our past projects include: High Security Fence and Crash Gates, Anti-Vehicle Barriers Installation and Maintenance, Megapixel Security Cameras, Access Control and Intrusion Detection Systems. These systems are paying high dividends in manpower reduction efforts. LPS maintains the highest quality in installations and customer satisfaction. We provide professional solutions for all of your security needs. Getting each project completed on time and on budget is our priority.